Being located in the Netherlands, we at De Vreugde Design have a special place in our hearts for Dutch design. 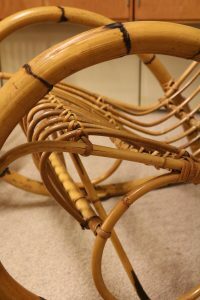 One of the most recognizable techniques used by the Dutch in the mid 20th century, would be the use of rattan in furniture. From chairs and tables to magazine racks and coat racks: a touch of rattan can give the interior just that homely feeling that you’ve been looking for. Vintage rattan (and wicker) pieces are very populair around the world. And finding the perfect piece to compliment your interior can be quite a search. It’s hard to imagine that in the 1950’s, basically every Dutch household included at least one of these pieces. A rattan chair, a glass coffee tables with rattan magazine shelf or even rattan sofas and foot stools. The exotic material is easy to use, lightweight and very versatile. No wonder the Dutch (among many other countries) fell in love with it! 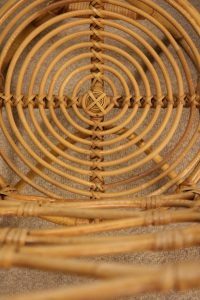 The material comes from the rattan palm that can be found in the subtropics as long vines. Still, these chairs weren’t made in the former Dutch East Indies or New Guinea. In fact, they were mostly made in Noordwolde, a village in the north of the Netherlands. 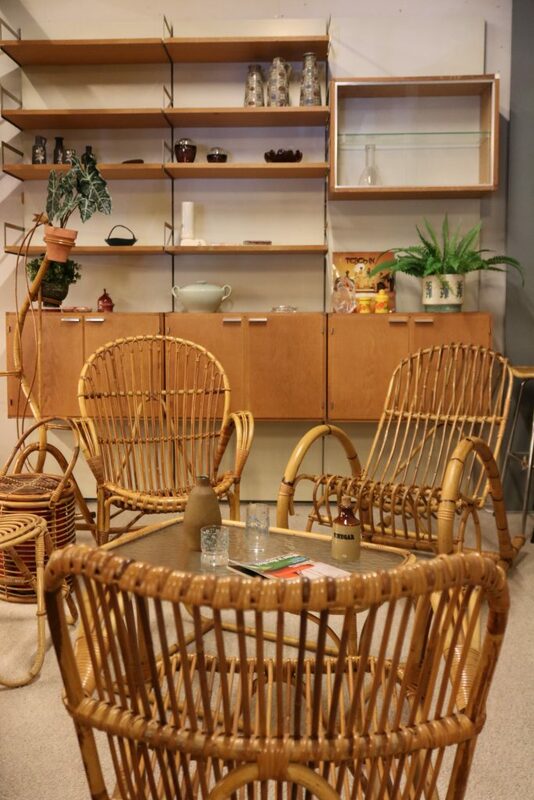 When thinking of midcentury rattan or wicker, you will most likely be thinking of manufacturers Rohé and Gebroeders Jonkers. Both are located in Noordwolde. Gebroeders Jonkers were the first to experiment with combining rattan and steel, giving way for a whole new range of products that will be the midcentury classics we love today. The other name that is inescapably connected to rattan furniture, is Dirk van Sliedregt. He was one of the post-world war II designers that set the tone for midcentury Dutch design. This was because he kept looking for new ways to expand his horizon and knowledge within design and architecture. He never followed the trend where artistic aspects were more important than technique and craftsmanship, having functionality and comfort as his top priority. 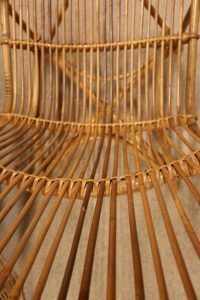 No wonder he made so many rattan pieces: this versatile material was his perfect match! Of course a beautiful technique like this didn’t stay exclusive to the Netherlands. Other countries discovered the versatile material as well. Every country has there own style: the Dutch where looking for strong, comfortable designs. 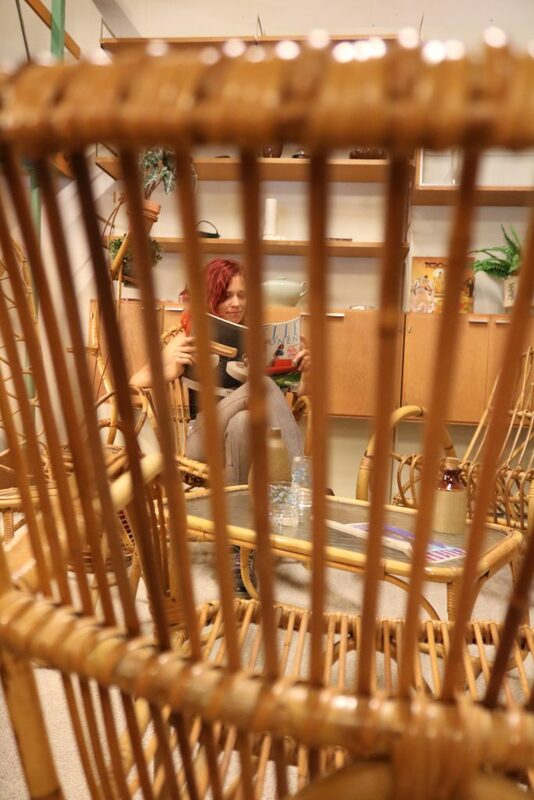 The Italians, for example, prefered to explore a bit more with curves and shapes and pushing the flexibility of rattan to create many different shapes. We love combining rattan designs from different countries, it creates a unique mix of styles while preserving a beautiful harmony in the interior. 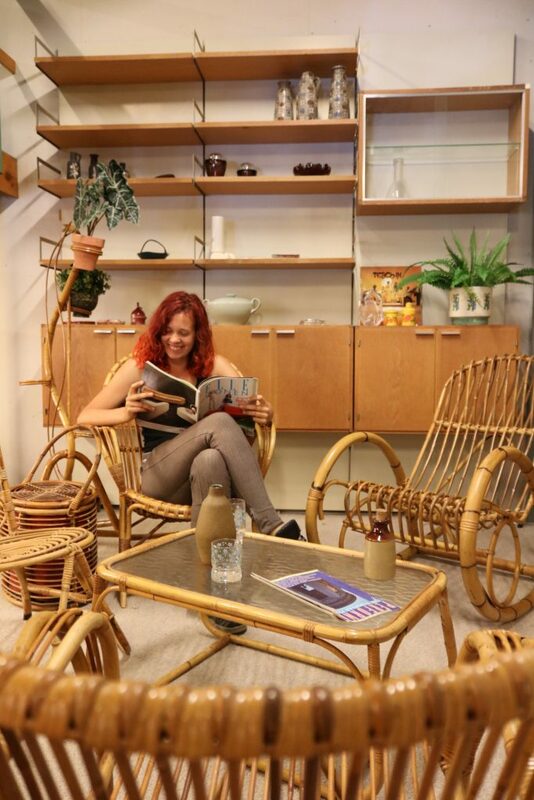 In the mid 20th century, rattan furniture was the must-have for every Dutch interior. Nowadays, it’s a most wanted all over the world! It can be combined with many styles and periods, to give the interior a homely feeling, or to create some light in the room. Do you want to upgrade your rattan piece to give it a more personal style? Try adding a sheepskin or some pillows. Even painted rattan is available, if you want to set a specific tone in the room. Looking for a wonderful rattan item to finish your interior? Lucky for you, we have them in stock very regularly. Have a look at our rattan collection and if you can’t find what you’re looking for, feel free to contact us and maybe we’ll find it for you!